Dr Champion is Associate Professor in Technology Innovation and Society. She previously held Readerships at Cranfield and Loughborough Universities. Before becoming an academic she worked as a Science Officer at The Textile Conservation Centre when it was based at Hampton Court Palace. 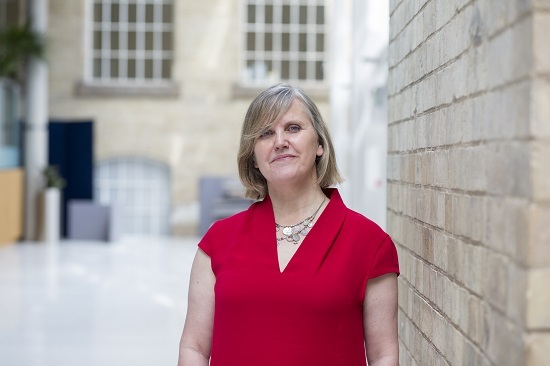 Donna's research focuses on the relationships between technology, innovation, business and society and how to ensure new technologies lead to the growth of inclusive, resilient and sustainable societies. She is particularly interested in exploring how cyber systems (such as software systems and algorithms) can work together with social systems for the common good; helping to overcome inequality and promote democratic systems. Designing a new information architecture to support food security across global food supply chains, using distributed ledger technology. Exploring governance mechanisms for global blockchain and distributed ledger systems to ‘design-in’ democratic principles. Modelling the impact of introducing different technologies into critical infrastructures across the water-energy nexus to understand the consequences for local communities. Dr Champion’s research has had considerable impact and was the subject of a REF 2014 Impact Case for the work she undertook with industry collaborators including: Jaguar Land Rover; The British Association of Chemical Specialities and a group of social enterprise organisations focused on supporting the homeless in Charnwood, Leicestershire.